We are offering the 50mm aperture (no central obstruction) integrally tuned etalon for use on any customer supplied refractor. System includes the B600 standard blocking filter for use on telescopes up to 600mm focal length. Because the LS50 has an estimated bandpass of <0.75 Angstroms it is capable of providing high contrast views of both surface and edge detail. 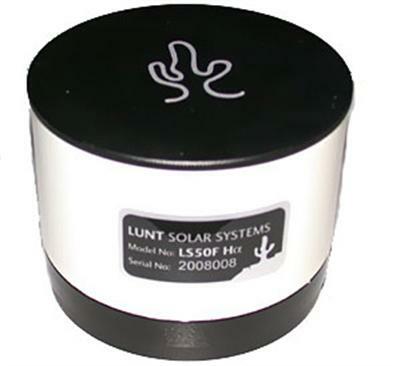 Click the button below to add the Lunt Solar Systems 50mm Ha Front Mount Filter w/B600 Blocking Filter for 1.25" Focuser to your wish list.